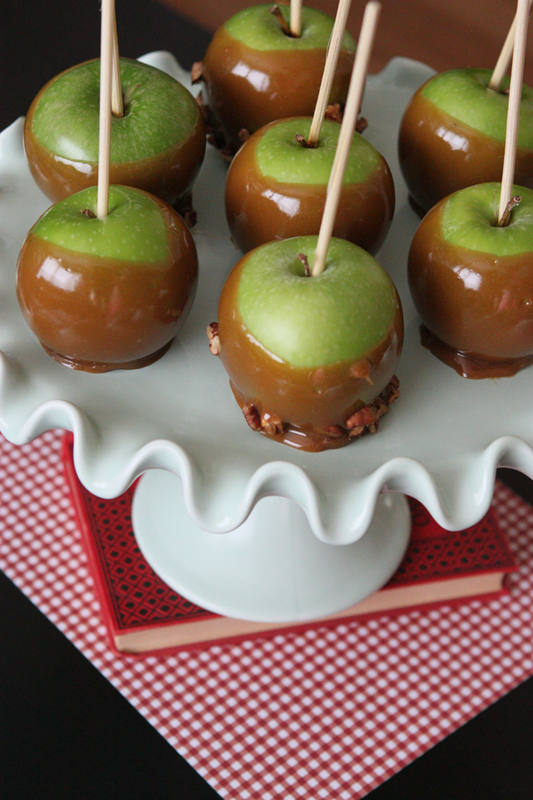 As an autumnally appropriate culinary quest, I made mini caramel apples for a friend's baby shower. I had entertained the idea of making them "the cheater way" by just buying and melting caramels, but our grocery store didn't have any good caramels and I would've had to buy about 30 bags of the ones they did have. So, I bought a bottle of corn syrup (gasp!) and made the caramel from scratch. I don't have a candy thermometer but we do have a nice digital thermometer that worked like a charm. 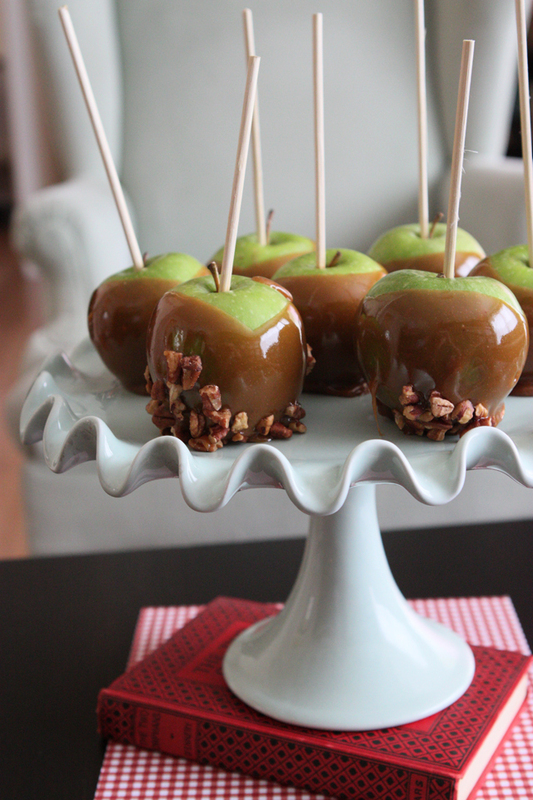 Insert Popsicle sticks into apples. Dip each apple into hot caramel mixture; turn to coat. Dip bottom of apples into peanuts. Place on greased waxed paper until set. Yield: 10-12 apples.